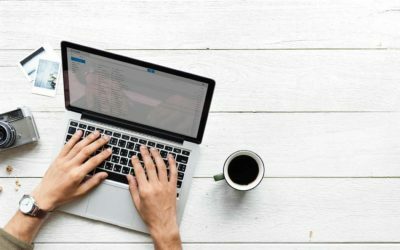 So you’ve signed up to Upwork but how do you get your first job on Upwork? Don’t worry – you’re not alone in asking us this question. Every day, we get a bunch of emails from Upwork newbies, telling us they’ve signed up to the site but aren’t being able to get their first job. We get it. It’s a tricky place to be. 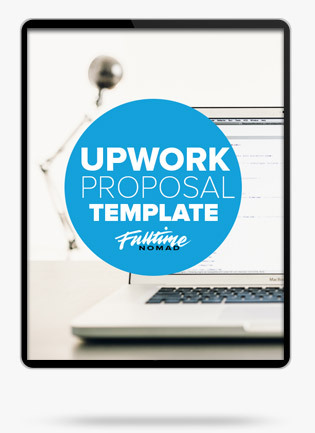 Download FREE Upwork proposal template that we use to get $1000+ a month long-term clients. By signing up, you are agreeing to receive periodic emails from Fulltime Nomad. No spam. Only the good stuff. Clients want to see your Upwork experience but when you’re new, how do you get some feedback if no one is willing to give you a chance. It can feel like a bit of Catch-22 but don’t worry you won’t be chasing your tail for long. Getting your first job requires a bit of perseverance as a newbie. You have to work hard to apply for jobs and stand out from the crowd. But perseverance alone won’t get you the job. First things first, before you begin your Upwork career, it’s important to note that Upwork is frequently rejecting profiles of newbies who have the same stock-standard skills as everyone else. Even if you’re not a newbie, but struggling to find work, it may be time to reconsider your skillset and recreate your profile based on a skill that is valuable. Your success on Upwork will largely depend on how good your profile is. Your goal is to wow clients the moment they land on your profile. Tailor your profile to showcase your skills in a glimpse and let clients get to know you even before they invite you for jobs. Begin by picking a niche. This should be an area that you have experience in. Then ensure that your entire profile talks about your experience in this niche. Keywords related to your niche are very important because this is what clients use to find suitable freelancers. Ensure that you include relevant keywords in your entire profile, from the headline, to overview to skills. So for instance, if you’re a writer; instead of selling yourself as a general writer pick a niche within the writing profession and build your profile around this niche. This could be copywriting, web content writing, blogging, business writing, creative writing and so on. Since writing is a pretty saturated field, our recommendation would be to niche down even further if possible by picking an industry or area to focus your efforts on. For example, you could be a health and fitness blogger or a landing page copywriter. Headline: This is the first thing that a client sees on your profile. This part will either make the client read the rest of your profile or move on to the next freelancer. The headline tells the client what you have to offer in a just a few words. Be clear and concise when creating a headline. If you’re a copywriter, that should be clearly stated in your headline. Don’t make the client have to fish for more information to understand what service you really are offering. Overview: This is one of the most important parts of your profile. Make sure your overview introduces you unambiguously to the client by letting them know what you have to offer. 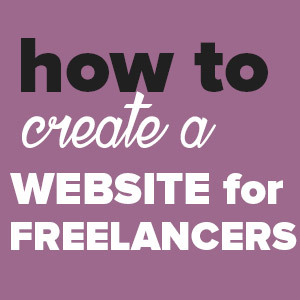 The main goal is to show how you – even if you’re a newbie – are different from the other freelancers. Your overview should answer the question “Why should I hire you over the others?”. Profile Photo: Clients want to know who they will be working with. Besides getting to know what you have to offer, they want someone they can trust. So, it helps if they can put a face to the profile. A good photo of you smiling will do wonders for you. Experience: As a newbie, you will not have past Upwork jobs to back up your skills (obvs). But this doesn’t mean that you don’t have any professional experience. To navigate this big hurdle, take advantage of the experience section to showcase your expertise. Make sure that you add all relevant work that you’ve done in the past to show clients that you have the skills and the experience to back up your claims. offline. Build a Portfolio: Again, using your past experience to describe your expertise is a great way to prove that you have something of value to offer. Build a portfolio that displays your work. Hourly Rate: The importance of thinking through the hourly rate is that many clients will look at your rate and use it to judge your expertise. The rate you settle on should reflect the level and quality of work that you can provide. 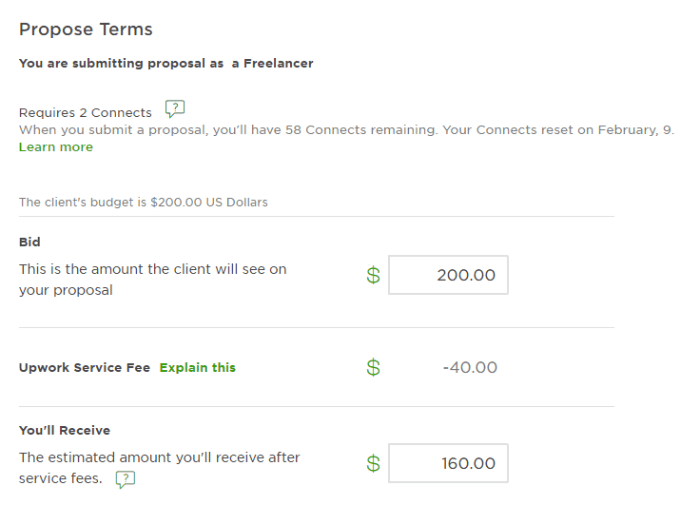 Do some quick research on Upwork to see what other freelancers in your location, in your area of specialisation are charging to help you decide the best rate for you. Your rate is not set in stone so you can always change it later. 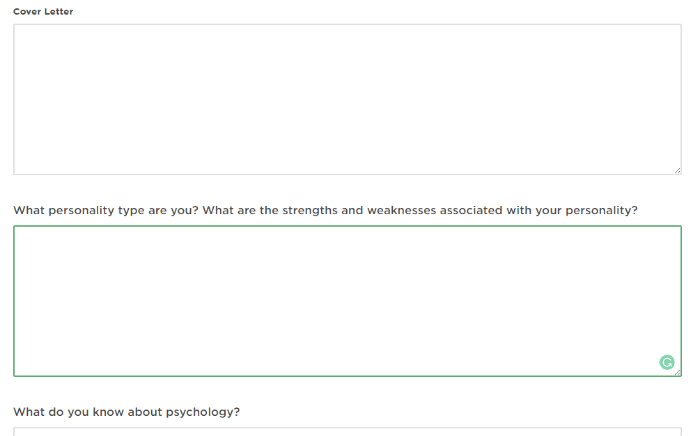 Take Upwork Tests: Add to the weight of your experience by taking tests within your area of specialisation to show that you’re indeed good at what you say you are. Go beyond the basic English skills test and take industry related tests. Once you’ve done the tests make sure you show them on your profile for clients to see. If you score poorly on a test, remember you can always retake it. So don’t let failing scare you from showing off your knowledge. Now that your profile is up-to-date and stands out, it’s time to send out proposals. A sloppy proposal will not get you the job no matter how great your profile is. A proposal is what introduces you to the client so it should showcase your skills, and also tell the client why you are the right fit. Go beyond what is in your profile and give important details such as what skills you will employ in the job, similar jobs that you’ve done in the past, how much time it will take you to get the job done and most importantly, the value you will add to their business. In short, your proposal should let the client know that you are a valuable asset. Your proposal should be clear, address the job and concise. Don’t kill the client with boredom by making them read your uber long proposal. Most will actually skip over it. Instead, try and work with two to three paragraphs. The key to writing a good proposal is to keep it relatively short. Don’t beat around the bush, stick to content that is related to the job. Don’t get too excited and put your entire resume on the proposal. The goal is to make the client interested enough to check out your awesome profile. One of the best ways to get hired for any job, offline jobs included, is to showcase your knowledge of the hiring company and the position being applied for. 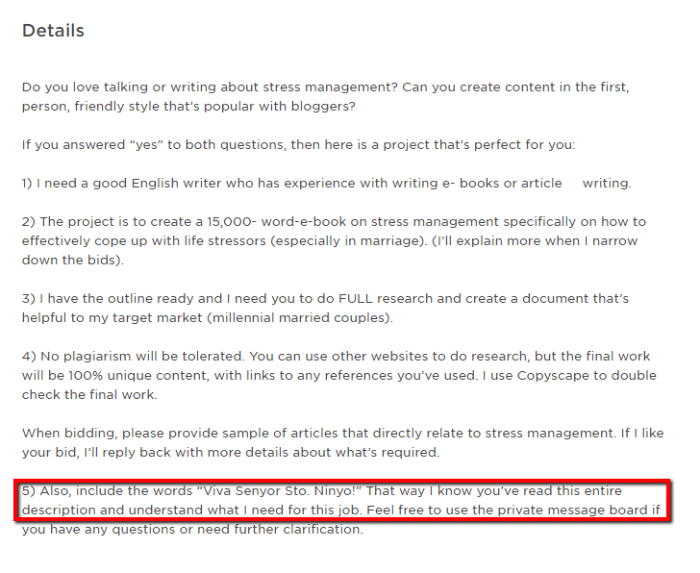 While as an Upwork freelancer it may be difficult to find out all the deets about the company/client, the job description alone can be a good starting point. Get hired by showing the client that you read and understood the job requirements. 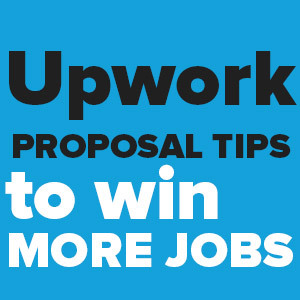 To do so, you must read the job description fully and understand the needs of the client before sending your proposal. Use the job description to show the client how you are going to use your skills to fulfil their needs. If the job description has questions, make sure you answer them in your job application. Some clients will want to know if your read the full job description and will even have extra instructions for this so keep an eye out! When sending your proposal, ensure that you work on all the other job application requirements such as the proposed bid amount, estimated time it will take you to complete the job as well as any other special questions the client has added in the application process. When you start off, you might think it makes sense to apply to as many jobs as possible – some even unrelated to your niche of choice. 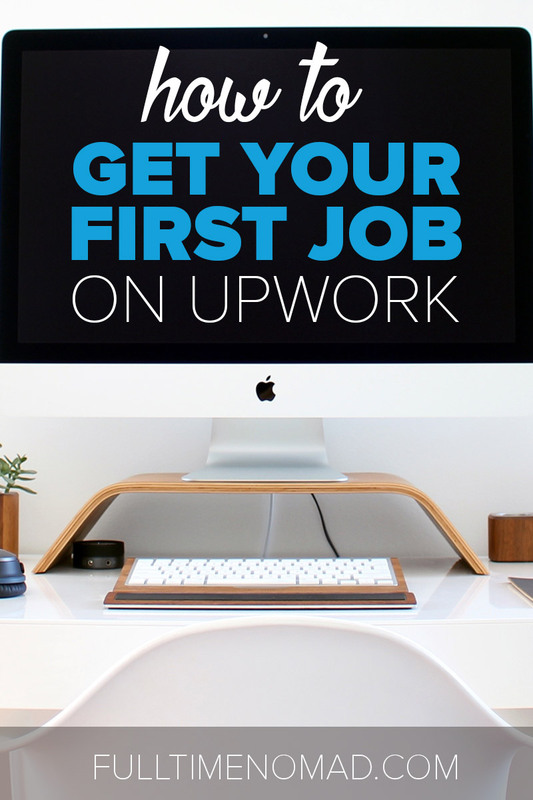 However, this will only slow you down in finding your first job on Upwork. Instead, bid on jobs within your niche. By bidding on a job that you have a genuine interest in, you will easily be able to write a good proposal that will land you the job because you fully understand what is required. Clients also appreciate a freelancer with expertise in one particular area and are more likely to hire you if they see you have relevant experience. 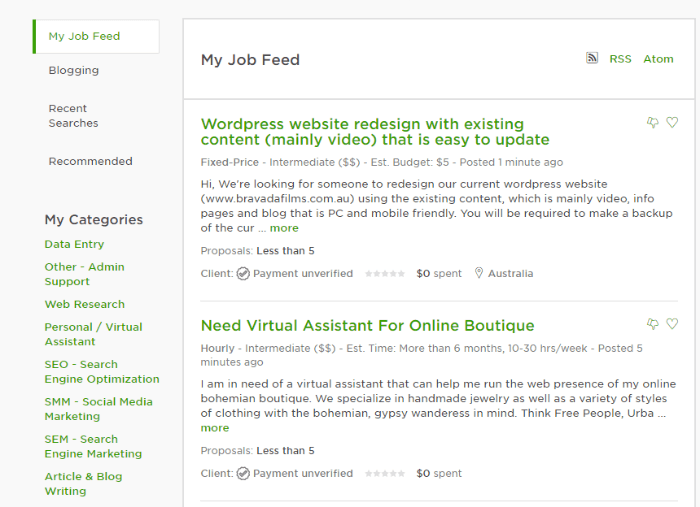 Create your job feed and add categories related to jobs within your niche. Use this feed to find newly posted jobs and apply to them before more freelancers do. This means that the client gets to receive and review your job application before the competition gets too high. Applying to recently posted jobs also gives you an advantage especially when a client wants to hire immediately. This means that they are not interested in reviewing tons of applications, but looking to find a suitable freelancer as soon as possible. Clients are most likely to notice the first few applicants even if they are a newbie. Subscribe to Upwork’s RSS feed to receive email notifications whenever related jobs are posted. This will help you stay abreast of all new jobs and apply to them immediately. The more jobs and reviews you have on Upwork, the more likely you will get hired. But what happens if you just can’t seem to find that elusive first Upwork job? Look outside Upwork. You might have family and friends who want to work with you already. Ask them to hire you on Upwork. This way, you can build your experience and improve your chances of getting more jobs. Remember to ask them to leave you feedback once you complete a task. Feedback helps to rank your profile higher making it possible for more clients to find and invite you to apply to jobs. As a new freelancer, you may have to accept rates that are less than what you’re used to getting paid. This is ok especially if you have little experience and close to no items in your portfolio. As you start off, think beyond the pay and go for more than just the money. Remember having a list of clients and good feedback is more valuable in the long run than one job that got you paid a couple of bucks. You can increase your rate once you build a record of successful jobs and set it to what you are comfortable with. A good proposal will not necessarily get you hired immediately but will land you an invitation to interview for the job. Now, this is your last chance to get the job so you better put your best foot forward. 1. Do your homework. Know your client and their business well before you get down to the interview. Some clients will add their company names or links in the job description so use this to do a bit of research on them. This will go a long way toward showing your clients that you’re well-prepared to handle their project. 2. Showcase your expertise. Identify your core skills that are a good fit for the job and express them during the interview. Prepare samples around these skills and offer them to the client during the interview to show them how the skills will align with their needs. 3. Focus on client’s needs. Use the interview to show the client you understand their needs and you know how to fulfil them. Give a few suggestions on opportunities that would benefit the client or a solution to a problem that they may have. You want to come off as proactive in taking initiative. This will definitely impress them. 4. Ask the right questions. Interviews are also a great time to gain deeper understanding of what the client hopes to achieve. This will help you determine whether you’re indeed a good fit. Remember, the goal is not to just land a client but to do a good job and get a good review. If you don’t fully understand the role, you’ll end up doing a not so impressive job. So take this chance to ask questions about the job. Good communication skills are not expected of writers alone. Good grammar and communication is proof of professionalism and gives you more authority as an expert regardless of your area of practice. Most clients will not compromise on the way you communicate. So be professional in all ways, from your profile, photo to the proposal, to the interview and even in job delivery. Remain respectful at all times and when you land the job deliver what you promised and in a professional manner. As you apply for jobs on Upwork, take note of the skills that clients in your area of expertise are looking for. If you need to learn a new skill to make you more valuable to clients, go ahead and do it. Take a look at top rated freelancers and find out what makes them great. Read their profiles and learn from them. Check out the jobs they apply to as well as the feedback they receive. What is it that they did that impressed clients? Try and offer such value. Getting that first job can seem like a tough hurdle but our number one tip? Don’t give up. It can be a bit of trial and error and you may face a few rejections but keep trying and refining your process until you nail that first job. Ready to Succeed on Upwork? Following the above tips will help you kick start your freelance career on Upwork and eventually make it a major source of income for you. Your success on Upwork relies on your determination and focus. So keep your profile captivating, learn to write great proposals, stay professional always and most importantly don’t give up! 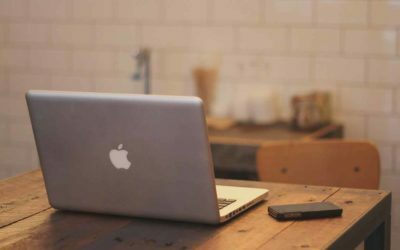 Got any more tips on nailing that first job on Upwork? Do share with us in the comments. We could always do with more advice on what works. Fulltime Nomad is your passport to saying no to normal, and yes to a life of unlimited travel. Founded by Radhika & Johnny, this blog will help YOU take that big scary first step towards building your own freedom lifestyle. Are you new? Start here. 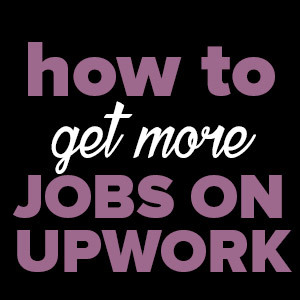 What is Upwork & How to Make Money With It? I downloaded the app to my phone after creating an account. The app does not allow me to create my profile. I cannot add experience/bio, add my picture or anything like that. How am I supposed to proceed with looking for work without an established profile? 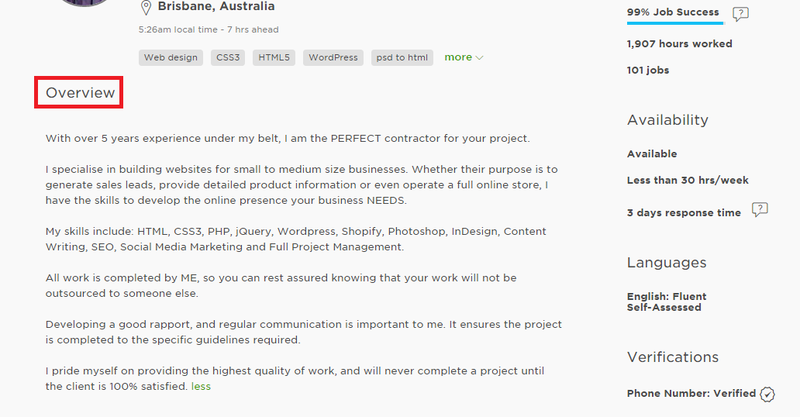 Hi Schae, you will need to create your profile on the Upwork website (not on the app). The app is useful for looking for jobs and responding to messages after you have already created a profile. Create a Business That Lets You Work From Anywhere.